The celery juice craze is sweeping the world thanks to the Medial Medium author, Anthony William. So many in the wellness world are singing the praises of this wonder juice and it’s countless health benefits. Many are attributed to it’s powerful anti-inflammatory properties. Anthony William first spoke of the amazing response he saw in people with autoimmune conditions along with countless others; Hashimoto’s thyroiditis rheumatoid arthritis, fibromyalgia, chronic fatigue syndrome, Lyme disease, migraines, celiac disease, irritable bowel syndrome (IBS), diabetes to name a few. Celery is considered to be perfect for reversing inflammation, because it starves the pathogens that create it. Is also contains a multitude of undiscovered mineral salts that act together as an anticeptic. When these salts make contact with viruses such as epstein-barr, shingles, streptococcus and other well known pathogens responsible for chronic illness – the salts begin to break down the cell membranes, eventually killing and destroying them. * Every morning drink roughly 450ml of celery juice on an empty stomach. Make sure it’s fresh, plain celery juice with no other fruit or vege added. Celery juice is medical so you will still need breakfast to power you through your morning. You must wait at least 15 minutes after drinking your celery juice before consuming anything else. * Use organic celery as often as possible. If you are using conventional celery, be sure to wash it especially well before juicing. *If you find the taste of straight celery juice too strong, you can juice one cucumber and/or one apple with your celery. 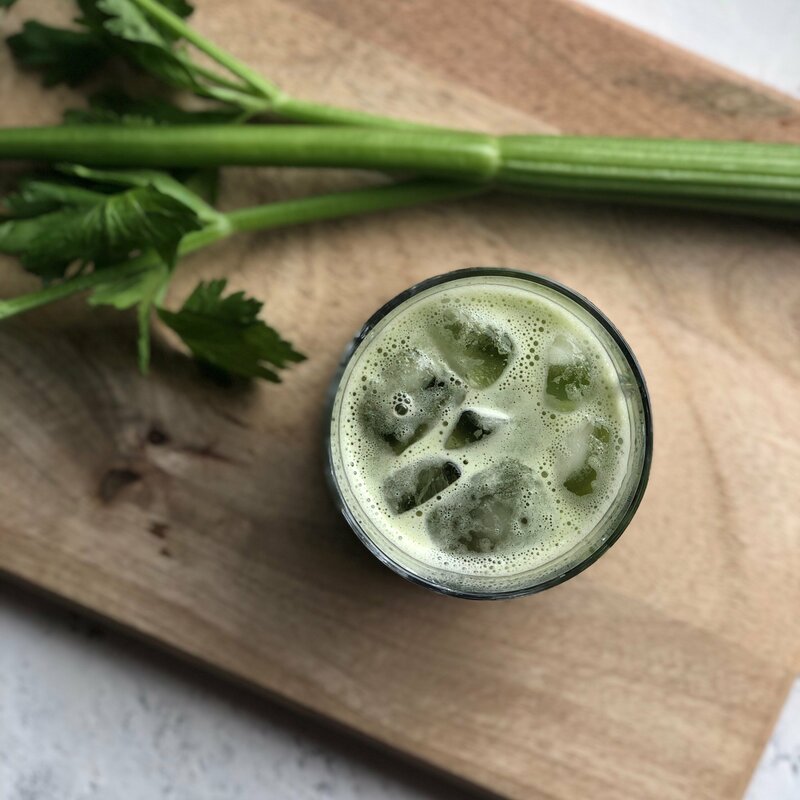 As you get used to the flavour, keep increasing the ratio of celery until you are drinking pure celery juice in the recommended dose.